Ty Peebles is a Partner at WestEnd Advisors and a Senior Investment Analyst who conducts research and analysis to support the management of the firm’s stock and ETF strategies. 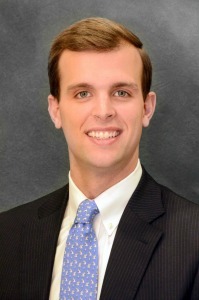 Ty entered the financial services industry in 2010 and joined WestEnd Advisors in 2014. Prior to joining WestEnd, he worked at Global Endowment Management supporting the firm’s operations, performance analysis and investment functions. Global Endowment Management is an outsourced Chief Investment Officer (CIO) to endowments and foundations. Prior to that role, he worked as a Certified Public Accountant (CPA) with Ernst & Young LLP. He also served as a Trading Floor Intern for Moore Capital Management. Ty holds the Charted Financial Analyst (CFA) designation. He is a graduate of the University of North Carolina at Chapel Hill where he received his B.A. in Economics, and he earned his Master of Accounting degree from UNC’s Kenan-Flagler Business School.